The Internet of Things and beer production seem to be a match made in heaven. Our sister site Smart Industry has covered the topic quite a bit. Us, less so, though you can read about it in When Data Analytics Meets Craft Beer and Challenges Persist In Tying Together Automated Business And Manufacturing Systems. Article links aside, there's a fascinating relationship between the very meticulous needs of the beer production process and the Industrial Internet of Things. And what better place to teach and learn than a college campus. Fort Collins, home of Colorado State University, is also home to some of the best known craft brew brands in the U.S. as well as CSU's Fermentation Science and Technology program. Emerson, an Automation Solutions Provider, recently announced the collaboration with Colorado State University to bring the digital technologies required of beer production to the forefront of CSU's program. Called the Emerson Brewing Innovation Center, students will get hands-on experience using Emerson's latest automation technologies. According to the company, the collaboration is funded by a joint investment and will serve as the main educational hub for the Fermentation Sciences and Technology program. From flowmeters to fermentation, the partnership will give students real-world experience in technologies that are innovating the beer production industry. 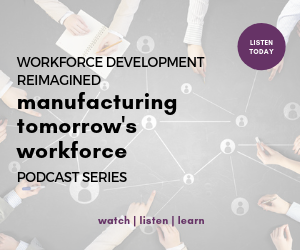 And speaking of real-world experience, the collaboration is also one of more than 350 education partnerships Emerson is a part of that advances the conversation about digital automation skills and advancing tomorrow's workforce (Something you can learn more about in our Manufacturing Tomorrow's Workforce podcast as well). You can read more about the partnership on Emerson's website as well as in this article on DenverPost.com.